Spring is FINALLY here and what a better way to celebrate than with a giveaway! Andersons Angels, The More The Merrier, This Mamas Life and Woven by Words have teamed up to bring you a FUN Spring Showers Giveaway Hop! 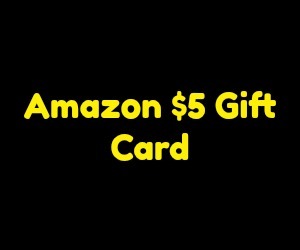 I don't know about you but I am always looking to win some fun and new stuff! 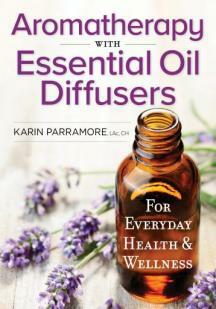 I'll be doing a giveaway of my recently reviewed Aromatherapy with Essential Oils Diffusers and a $5 Amazon gift card! I would use aromatherapy to help with my anxiety. I would use the aroma therapy to help me relax at night. I love using aromatherapy when the cold comes. I would use aromatherapy for stress relief and to go to sleep. I use aromatherapy during the day for balance and calming. We use essential oils for everything in this house (since I sell them, LOL). I have to be careful because of the cats, but we mostly diffuse in the living room/dining room area. Usually a 'focus' blend the night before kids have tests, and a 'de-stress' blend on hard days. probably sleeping or anxiety as well, I find aromatherapy very calming. I would use aromatherapy to try to cure my insomnia! Ive heard it can have healing powers. I would use the aromatherapy to help me relax after a stressful work day. I would use it for stress and help me sleep!! To help with health and mental well being. I know some of the essential oils will help with depression, anxiety, low energy and the like. They're really quite amazing. Thanks! I use aroma therapy for my general piece of mind. ..for relaxation against this stressful, stressful world. I use aromatherapy for lots of things like making the house smell better, helping with headaches, insomnia, and anxiety. I would use aromatherapy to help with stress relief. I use aromatherapy in my bedroom to help me sleep better and keep me relaxed. To relax and enjoy the moment. We use them to help us sleep! I would use it in my bedroom to hopefully help me sleep. i use it for stress,headaches and to help with sleeping. I'd like help with headaches, and stress. I would use it to relax, i'm always s stressed. I would use it to help me sleep. I use them to help me relax and for calming love how well it works. I'd use it to lift my mood. I like to use Eucalyptus oil,because it is so soothing to use it after work. I love aromatherapy for relaxation. I am in great need of a nice new bicycle to get my nephew for his birthday, so I would like to substitute the gift card instead. My wife would use it for peaceful sleep.